The profession of dentistry has been riddled with images and pictures which portray it as a negative and painful affair. With time, this has become nothing but a myth. 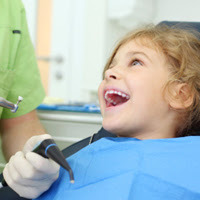 Instead of delaying dental check-ups to the last possible minute, get it over with in a timely fashion since it not only saves you a ton of money from costly visits later on and also prevents late diagnosis of diseases which could be limited early on. The amount of exposure to radiation via X-rays for a dental radiograph is minimal and is, of course, always supervised. Exposure to radiation is more if you spend an hour under direct sunlight as compared to that by a radiograph! Your teeth are often one of the first things to be noticed by others; unsightly teeth are a big turn off. If you spend half the amount you spend on hair and make-up on your teeth, you will have an asset that lasts you a lifetime, with proper care. It is akin to a general physician not complaining of body odor when you go for a check-up. Oral malodor is a common problem and is nothing to be ashamed of since it can be controlled with ease and a little bit of consciousness. The shape of your face compliments the placement and shape of your teeth and even the contours of your gums. Changing just one aspect of your aesthetic will have a drastic unappealing impact on the way you look- one which you might not like after all. Similarly, demanding extremely whitened teeth would only make your teeth look artificial. Clean milk teeth with a wet towel wrapped around your finger in the early months. Inculcate good oral habits from the beginning. Letting them sleep with a bottle in their mouth, or feeding them sugar-laden liquids right before (or worse, while they sleep), lacing pacifiers with honey- all of this can lead to early childhood caries which can have dire consequences when the permanent teeth erupt. An easy way to control caries is to chew five to six xylitol chewing gums in a day. It increases the saliva secretion, thus enabling a self cleansing action and also, chemically creates an environment in your mouth that is not sustainable for bacteria to survive. The oral environment has billions of bacterial species that are naturally present, therefore predisposing the areas you’ve pierced to infections. If not that, then the piercings often become the cause of a chipped/broken front tooth which is unsightly and may lead to sensitivity. Delaying a dental visit, especially when you have a bothersome tooth, is not a good idea since the delay will only worsen the situation and take from a reversible issue to one that is irreversible. They could be due to a variety of reasons ranging from a simple reason like vitamin deficiency or poor oral hygiene to blood cancer or a genetic condition. #10 It is rarely ever the kind of toothpaste you use that plays a significant role in oral hygiene; it is the technique you brush in. Ask your dentist and they will gladly oblige.